Dr. Vahram Shemmassian is Associate Professor and the Director of the Armenian Studies Program in the Department of Modern and Classical Languages and Literatures at the California State University, Northridge. He holds a Ph.D. in History from the University of California, Los Angeles (UCLA). His dissertation is titled “The Armenian Villagers of Musa Dagh: A Historical-Ethnographic Study, 1840-1915.” He has also been the principal of three Armenian schools in Southern California. 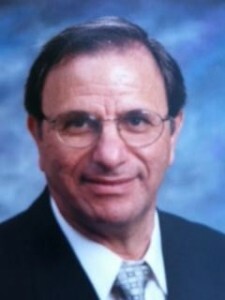 Prof. Shemmassian has conducted extensive research in thirty-five governmental and non-governmental archives in the United States, Europe, the Middle East, and Armenia, gathering data on such areas of interest as the Armenians of Musa Dagh and the Sanjak of Alexandretta, as well as Armenian Genocide survivors in the Middle East at the end of World War I. He has published many scholarly articles, delivered lectures at community events and in universities, and participated in international symposia and conferences. He has received awards of appreciation from the Knights of Vartan and the Mousaler Association of California, as well as a certificate of recognition from the California State Assembly. In the summer of 2010 the Ministry of Diaspora of the Republic of Armenia awarded Dr. Shemmassian the “William Saroyan” medal for his contributions to the promotion and preservation of Armenian culture in the Diaspora.